In this episode I chat with Ted Rubin a leading Social Marketing Strategist, Speaker, CMO of Brand Innovators, & Co-Founder of Prevailing Path. 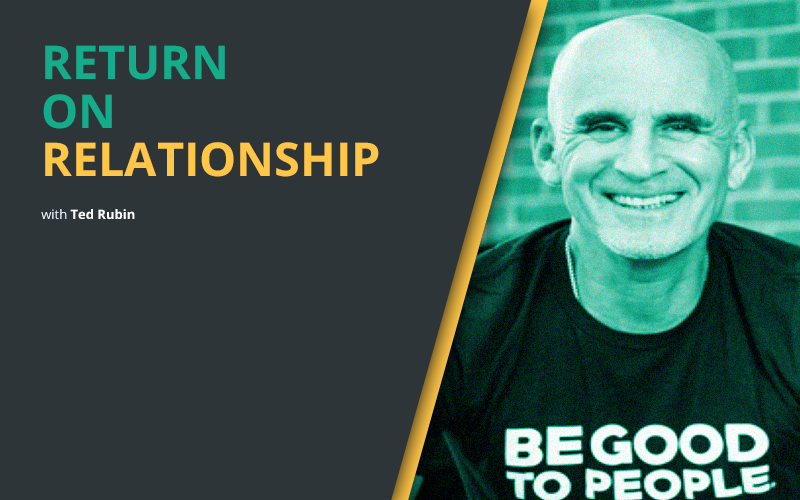 In March 2009 he started using and evangelizing the term ROR, Return on Relationship, hashtag #RonR. Ted has a deep online background beginning in 1997 working with best selling author, entrepreneur and agent of change Seth Godin at Yoyodyne, which was acquired in Q4 1998 by Yahoo! Ted chats about his time at Yoyodyne & what it was like working with Seth Godin. Ted talks about the importance of relationships and shares real-life examples of how they can be developed, nurtured and the value which they can bring. We chat about the importance of ‘being nice to people’ a value concept which Ted feels is so important and often forgotten.